Jaguar Plastics recycled garbage bags are ideal for the toughest clean-up jobs. The low density garbage bags provide exceptional puncture resistance for heavy, wet or sharp garbage. The perfect garbage bag for environmentally conscious consumers, Jaguar’s line of 45 gallon can liners meet EPA procurement guidelines with more than 80% recycled content and 10% post-consumer resin that is free of heavy metal additives. Designed with a flat bottom, these high quality garbage bags will hold up to 30% more than star sealed bottom can liners. 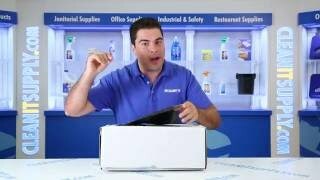 These 2.0 mil gauge garbage bags are individually folded in their box for trouble-free, one-at-a-time dispensing. 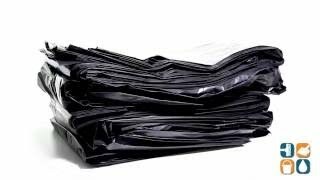 The best garbage bags for tough garbage applications around the home, office or job site, stock up on Jaguar Plastics 45 Gallon Garbage Bags today!